Do you have a male friend or significant other who thinks that yoga is lame, wimpy, or too “girly?” Would you like to prove him wrong? 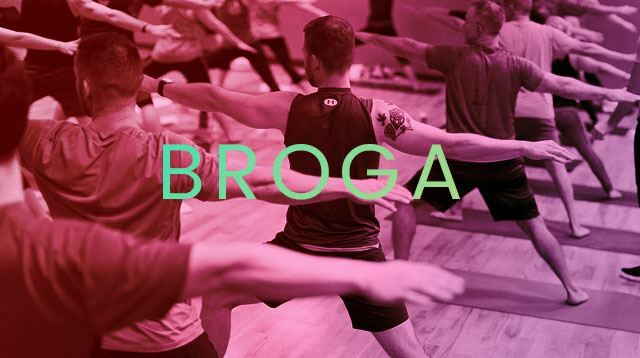 Challenge him to Broga, a yoga-based fitness class that was programmed for guys, but open to all genders. Created by certified yoga instructor and personal trainer Robert Sidoti, Broga has one simple goal in mind: to bring the benefits of yoga to more men. And yes, it’s totally fine if you can’t touch your toes, bros. The Broga movement started in the U.S. and is available as an online program. Here in Manila, we found our country’s first official Broga class in Yoga Hive, a new yoga studio that just opened in Makati this year. We at Cosmo tried Broga for the first time this month. Our verdict: It’s not easy, and it will definitely shake up the stereotypes guys have about yoga. Even with years of experience in different types of yoga, we found ourselves struggling through the mix of vinyasa yoga poses and boot camp routines like burpees, push-ups, and planks. It used a lot of our core and arm muscles while giving us yoga’s usual benefits such as centering and proper breathing. By the end of this one-hour, 15-minute class, we were more than happy to Savasana (that's the Corpse Pose, fyi). Om, bros. Om.